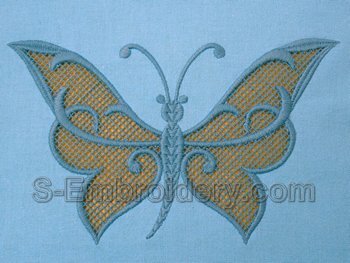 A butterfly cutwork lace machine embroidery design. 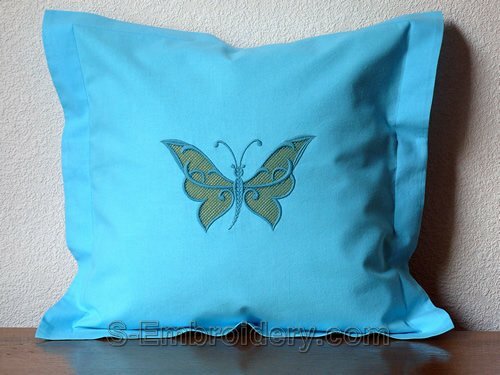 The design comes with instructions for adding cutwork lace decorations to your machine embroidery project. The images below contain some ideas for using this butterfly lace.